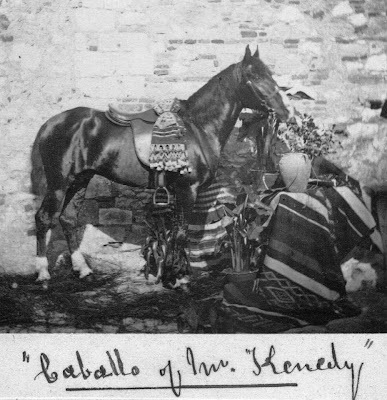 Captain Thomas Brown - writing in Anecdotes of Horses published in 1831 - was of the opinion that the Romans considered the horses of Calpe to be better than those of any other European breed. This seems rather difficult to believe when one considers the topography of the Rock. On the other hand its geography may have helped. 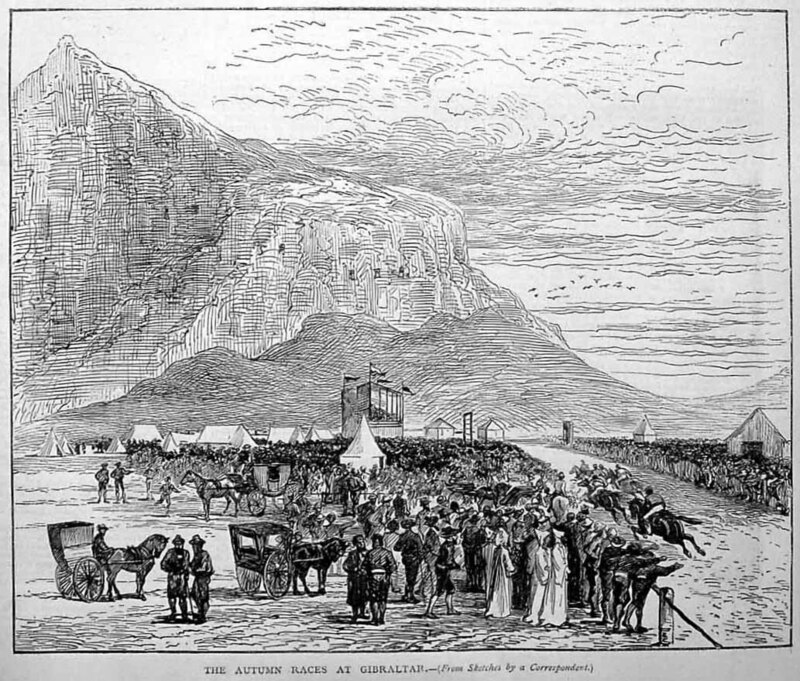 Gibraltar is next door to Barbary, home of the Arab horse. I cannot find any record of any formal horse racing either on the isthmus or elsewhere in the Campo area prior to 1765, but the enormous popularity of the Calpe Hunt ( See LINK ) which established itself as a major institution in Gibraltar in the very early 19th century will undoubtedly have led to impromptu races from time to time and may have been the catalyst for organising a more formal approach to racing. As early as 1838, Charles Rochfort Scott, (See LINK) a Royal Artllery officer stationed in Gibraltar, was singling the praises of horse racing on the Rock. A few years later an article appeared in the New Monthly Magazine. It referred to an event that occurred one year later. It was written by somebody who called himself Nimrod. Twenty years back, who would have dreamed of races at Gibraltar! Such, however, is the case now, and at the spring meeting of last year, nine prizes were contested for - one of which was for horses, the property of members of the Calpe Hunt. This really sounds sporting; but only fancy a steeple-chase over this "pillar of Hercules," as the ancients called it! Verily, we have a full account of one which took place last year, attended, not only as is usually said on those occasions, with "all the beauty and fashion of the place," but after the usual fashion with those silly, cruel, and unsportsmanlike exhibitions, with sundry appalling accidents, and the death of one of the riders from a fall. Mulatto at this moment approached the fearful chasm, but not wishing to interrupt the harmony of the interesting party below, swerved to one side, and taking the leap in a slant direction, lodged on his knees on the opposite bank, pitching his rider over his head. Captain D'Enycourt did not, however, lose his reins, and not being overburdened with ballast, was instantly in his saddle; went over all the succeeding leaps in masterly style, and won the race by his very superior riding, putting besides a good 'lump of tin' into the pocket of Mulatto's master, as the betting had been twenty to one against him. A second race was won by Lieutenant Mansell's Sorcerer, but a sad damp was thrown over the amusements of the day by the result of Mr. Sullivan's fall, which has been alluded to above. 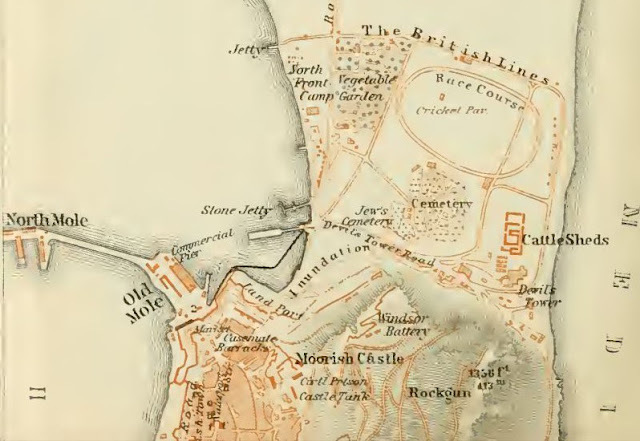 He was taken up and carried across the bay to his quarters, in one of the boats of H.M.S. Wasp, where he remained insensible for thirty-six hours, when he breathed his last, from what proved to have been a concussion of the brain. He was universally regretted by his brother officers, and promised to become an ornament to the profession in which he had so lately entered, and from which he was so suddenly removed. 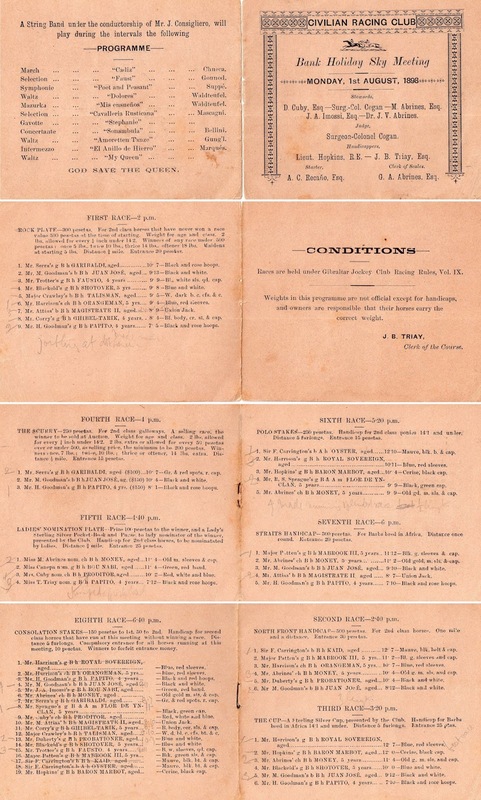 From this one might gather that formal racing probably did not begin until after 1821 but that it was definitely in full swing in 1839 by which time it had become a pretty full blooded affair with a considerable number of horses taking part. It also seems to have been an activity in which only the officers of the garrison were allowed to indulge. Shortly after this the Sporting Magazine of 1839 gives a fulsome account of a Steeple Chase organised in Carteia for the 23rd of April of that year. The opening paragraph is worth a mention. The mania for Steeple-chasing is not confined to your countrymen at home - it is breaking out among them abroad; and though . . . having neither Bechers nor M'Donoughs . . . had you been present at the Carteia Steeple-chase on the 23rd inst. you would have seen perhaps the most sporting thing that ever came off on Spanish ground. Less than one month previously the 1839 Grand Liverpool Steeplechase - later known as the Grand National - was run properly for the first time. 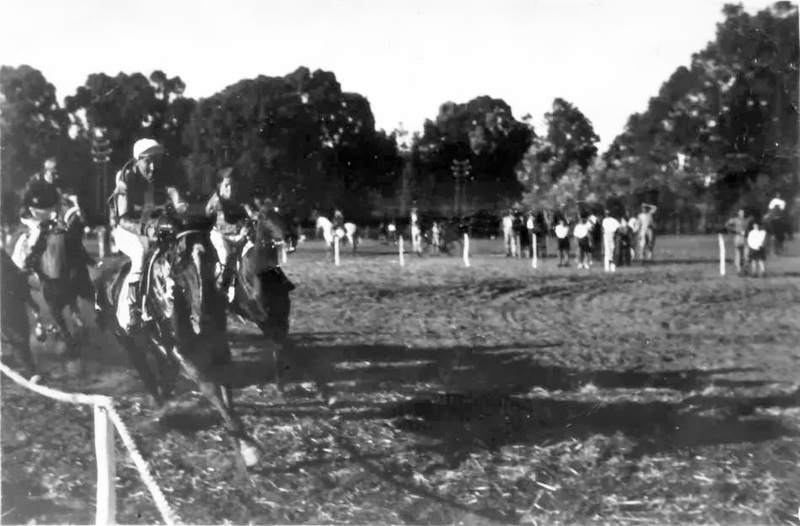 It was also perhaps the first organised running of this kind of race anywhere. The Becher and M'Donough mentioned were two riders who fell at the fence which now bears the former's name. Which tantalisingly suggests that Gibraltar - or at any rate a race organised in Carteia by British officers from the Rock - was probably the first in Spain and almost certainly one of the first anywhere outside of England.
. . . the Spanish Race-course, extending on either side of the road to San Roque, and about two miles from Gibraltar, in the neighbourhood of Carteia. . . was a circular one of two miles, containing four hurdles four feet high, two ditches between ten and twelve feet wide . . . a stone wall of four feet and some four or five fences in crossing the gardens near Campo. On the whole, the Meeting was an extremely good one - the running excellent - the sport was kept up with much spirit - and each succeeding year seems to inspire the officers of the garrison with fresh energies, and a laudable desire to eclipse the races of the previous season. 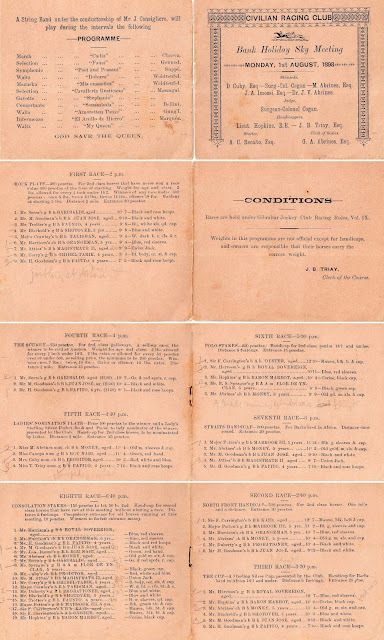 The meeting included races with predetermined prizes - the Maiden Plate, The Barb Race, Sweepstakes, a series of heats and a grand finale - the Hurdle Race, which seems to have been run over the Steeple Chase course. One noticeable curiosity is the fact that one of the winning horses was called Nagüeta which is a typically convoluted Llanito word for a 'kilt' worn by a Scotsman. In Spanish the correct term is 'Falda Escosesa' but for unknown reasons Gibraltarians preferred the word for 'petticoat' which is 'enagüa'. From there to 'nagüeta' was a relatively short step. 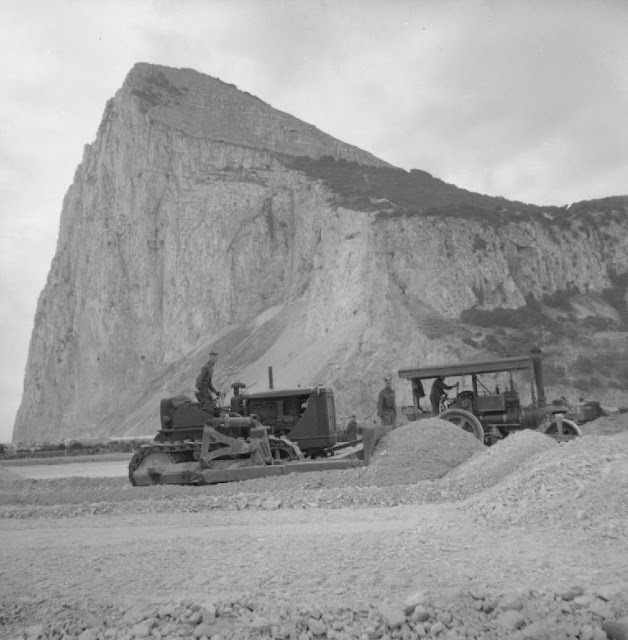 In fact all Scottish regiments that happened to be stationed in Gib were always known collectively as 'los nagüetas'. It offers a rare hint that Llanito was already being spoken locally in the early 19th century. 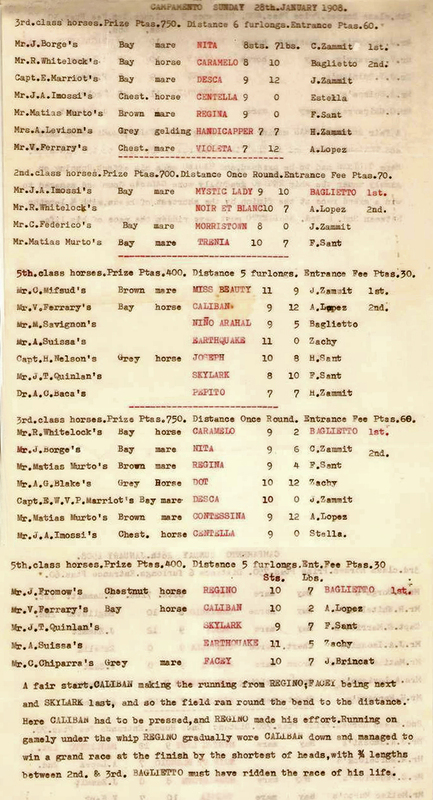 All these accounts confirm that properly organised horse racing in Gibraltar had been going on for quite a while, perhaps from not long after the end of the Great Siege and certainly from around the creation of the Calpe Hunt, the influence of which was felt over the years in that very often some of the races were restricted to horses belonging to its members. By the middle of the 1840’s racing was taking place regularly in Gibraltar in North Front. Regular meetings were usually held in the first week of May although this was not always the case. 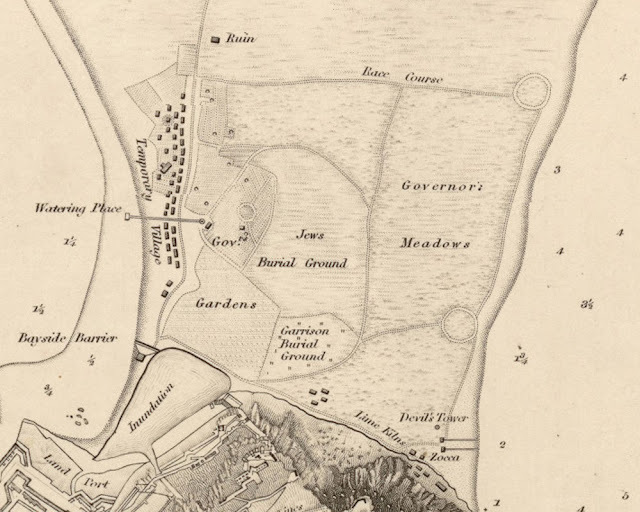 The following is a summary of a 3 day meeting held between the 17th to 19th April of 1843. 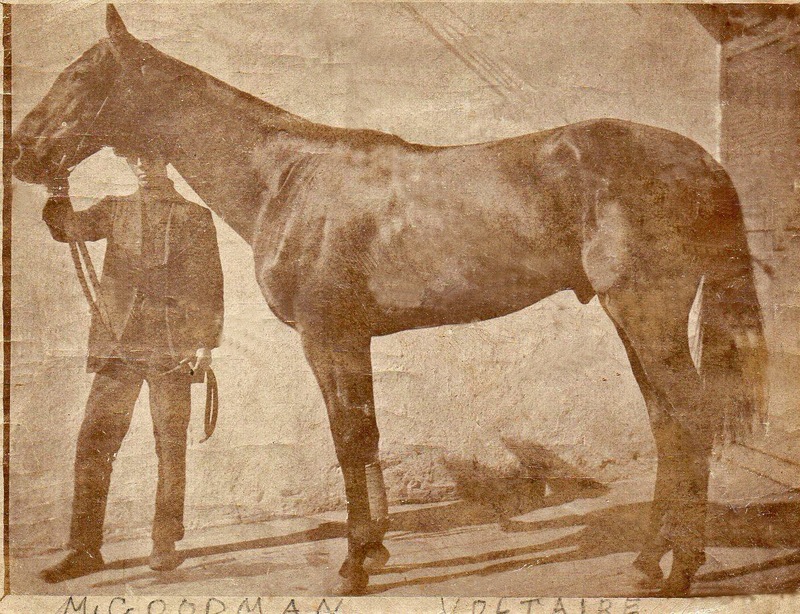 The Garrison Stakes which was won by Alhambra owned by Captain Johnston. Second was Zangier owned by Lieut-Colonel L. Maule, and third, Zohrab owned by Mr Grant. The Calpe Hunt Cup, won by Domino owned by Mr Fraser, second was Bouncer owned by Captain Cox, and third The Rook owned by Mr Stewart Paget. The Woodford Handicap Stakes won by Domino owned by Mr Fraser second was Bouncer owned by Captain Cox, and third was Light Bob owned by Mr Gordon. 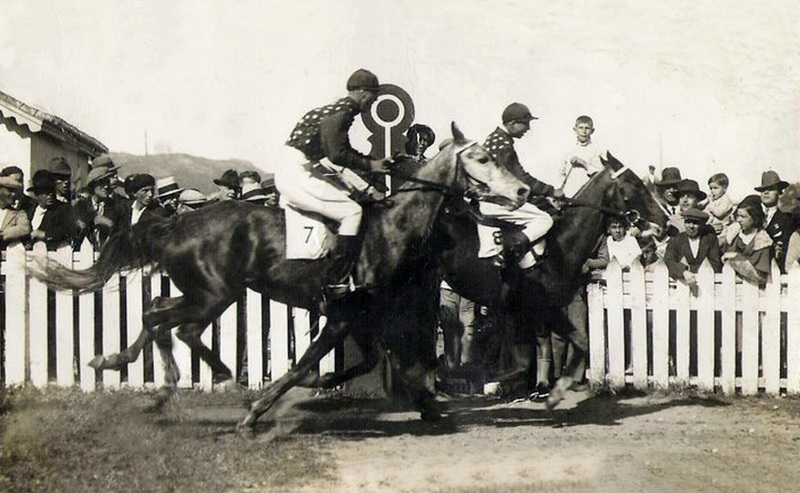 The Ladies Whip won by Charley owned by Mr McCall, second was Black Hawk owned by Captain Cox, and third was Taglioni owned by Lieut-Colonel L. Maule. 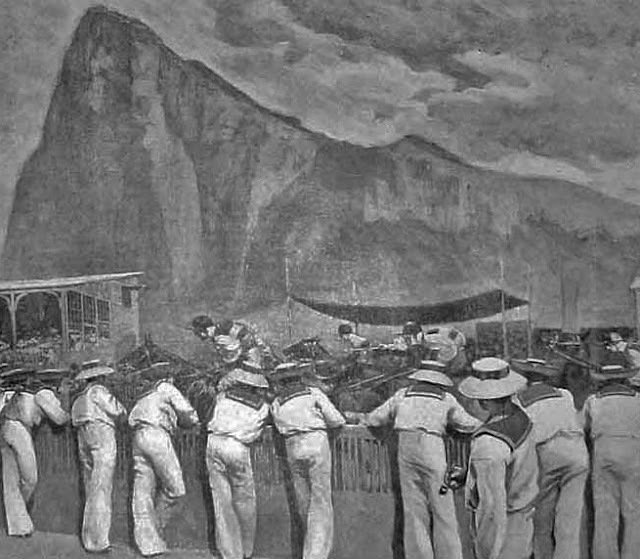 This particular three day event proved so successful that a group of enthusiasts decided the course deserved a proper grandstand which was duly constructed under the direction of the Honourable G. Grey - who happened to be one of the Stewards at the time together with RN Lieutenant-Colonel Louis and Stewart Paget. The Clerk of the Course for the meeting was Captain W.E. Heitland. Although difficult to distinguish this race from what had gone on previously there was one big difference - at least some civilians - albeit almost certainly British born - were now also being allowed to enjoy the sport of Kings. 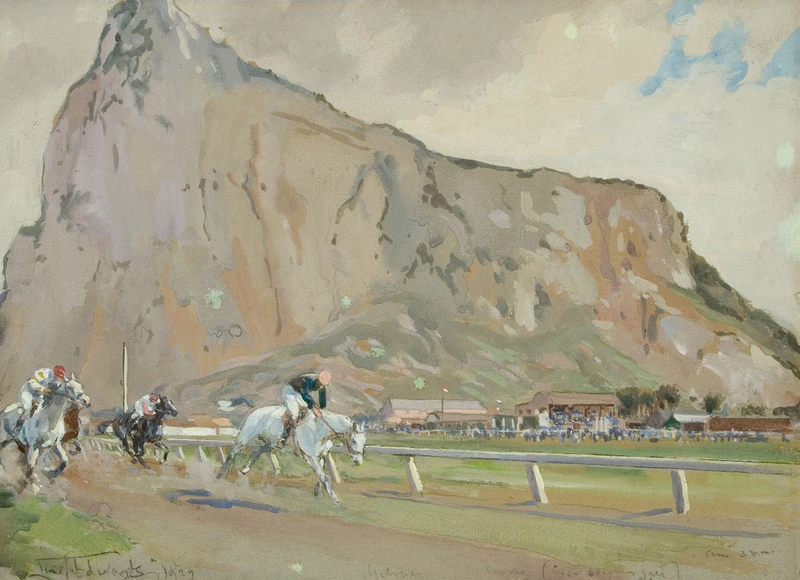 The continuing sponsorship of one of the races by Calpe Hunt is not surprising - one would guess that those who were members - and that would have been almost every officer on the Rock - would also have been a member of the Gibraltar Jockey Club which had been founded in 1868 in the Club House Hotel in Grand Parade. ( see LINK ) Interestingly the first Clerk of the Course was Marcus Hill Bland, a wealthy Englishman but crucially - a civilian. But he did manage to spend a couple of months there prior to make the necessary arrangements to be transferred to India. While he was there he bought himself a horse called Birdcatcher. 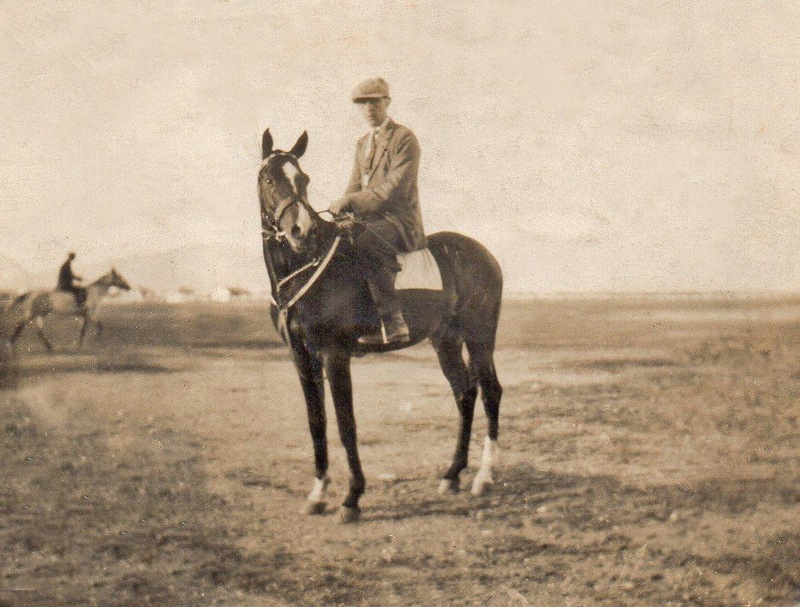 Meanwhile a colleague by the name of Lieutenant Prentice of the Engineers lost £500 while playing a game of Hazard with a certain Mr. Halsey and by way of squaring the account he proposed racing Birdcatcher against Halseys horse, Light Bob for £1000 - a massive amount of money in those days. 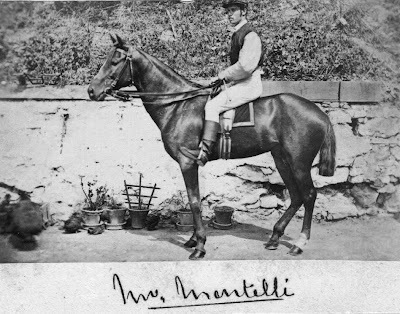 Birdcatcher won the race in front of the entire Garrison thus giving the Earl Poulett enormous satisfaction - as well as his first ever silk - while Prentice continued to ride various other horses owned by different officers including perhaps a barb called Ache Ache which carried all before him and was thought to be good enough to bring to England to run for the Goodwood Cup. 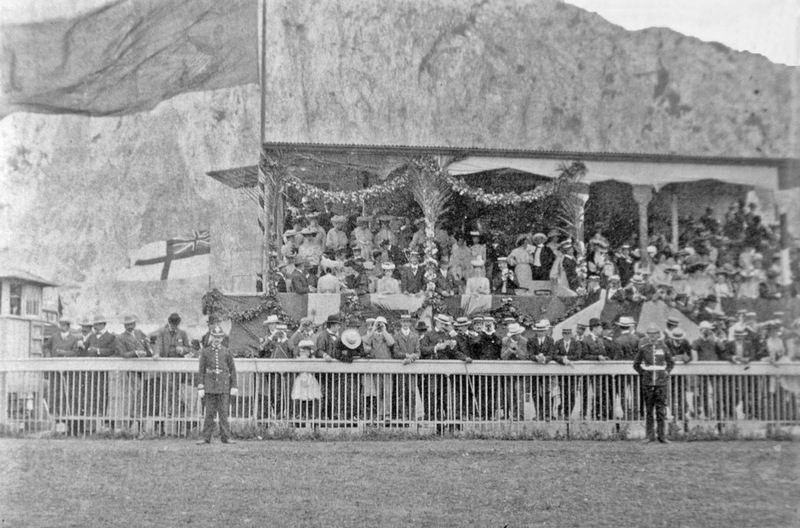 By the 1870s horse racing seems to have been fully established on the Rock. 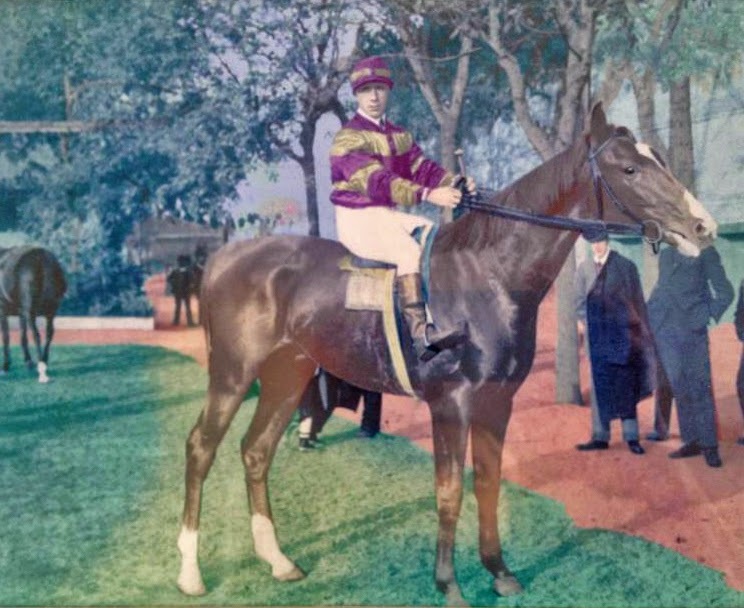 An article by a writer with the pseudonym of Green Facings on a meeting in Malta where racing was also very popular - a horse from Gibraltar was a winner that day - is worth quoting. What strikes us most at a race meeting in Malta is the entire absence of all unwholesome concomitants, no noisy betting-ring, nor gambling booth, nor drunkenness, nor evil company of any sort mar the enjoyment of sport for the sports sake. That racing in its simplicity may long flourish both in the rocky little island of Malta, and wherever the British soldier may be quartered is the sincere wish of . . . Green Facings. 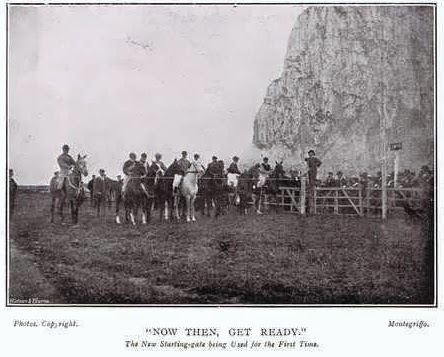 However, as can be gleaned from the following article in The Navy and Army Illustrated magazine, by 1901 there seems to have been no less than three jockey clubs jostling for racing space on the Rock. As regards racing , there are three clubs, the Jockey, the Civilian and the Calpe Clubs - and each of them has a spring and an autumn meeting. In addition to the regular fixtures there are occasional skye meetings and hunt steeplechases. These, with a few regimental races and perhaps a polo club meeting give a full years sport. 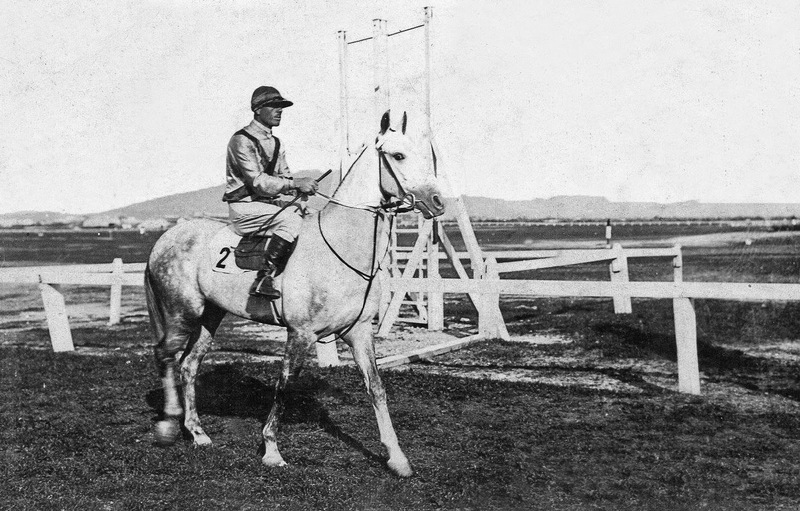 Formerly the handicapper's task was by no means an easy one, owing to the variety of breeds to be reckoned with, and the top and bottom weights were frequently separated by 8st or more. 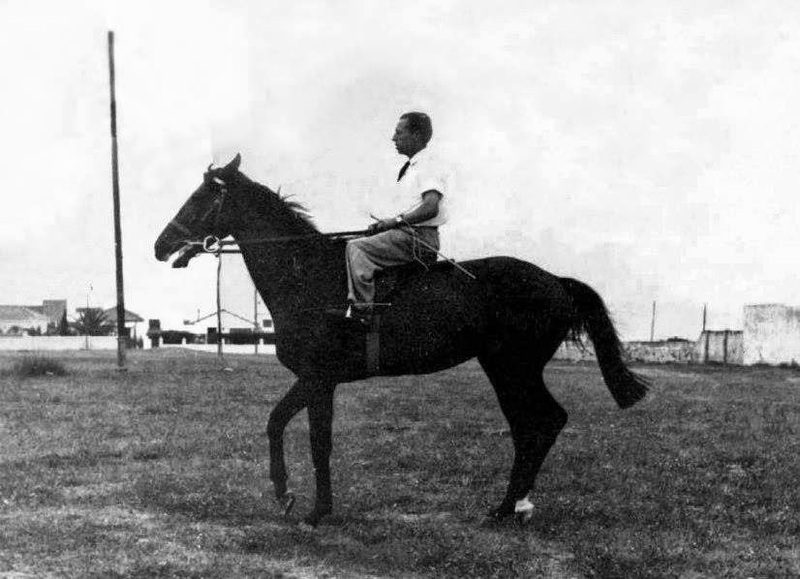 But now horses are divided into three classes, according to merit, races are confined to horses of the same class, and 3 st suffice to bring the top and bottom weights together. 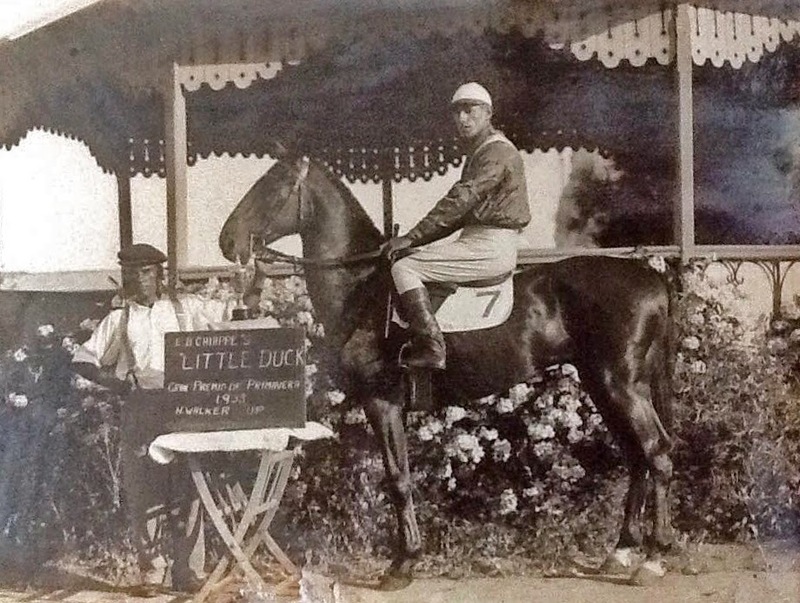 In fact by the turn of the century the number and names of the different horse racing clubs on the Rock had stabilised into three well supported establishments. 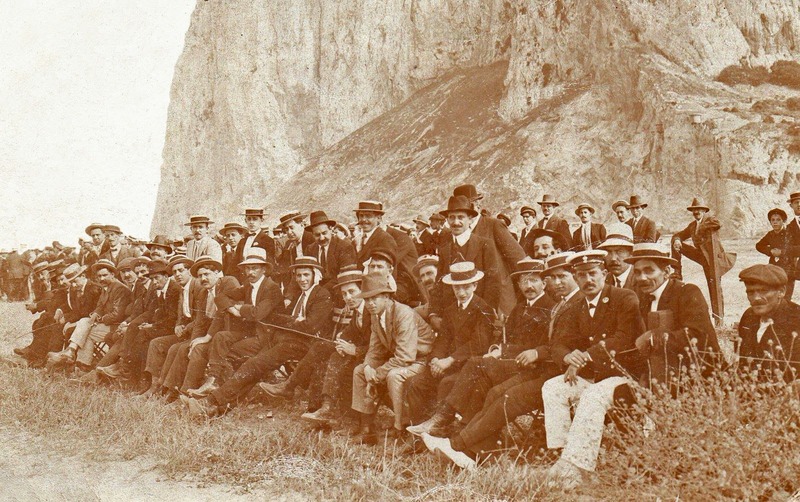 The Jockey Club - This was composed mostly of Garrison officers - although the one or two civilian - usually people with impeccable British born credentials although there were exceptions - were sometimes allowed to join. It was by no means easy to do so. 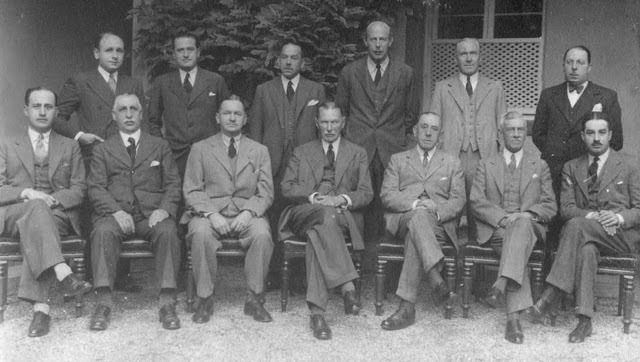 The person had to be proposed and then accepted by the General Committee but only after his name - no woman would ever be considered - had been pinned up for 14 days inviting comment from members as to why he should or should not be accepted. 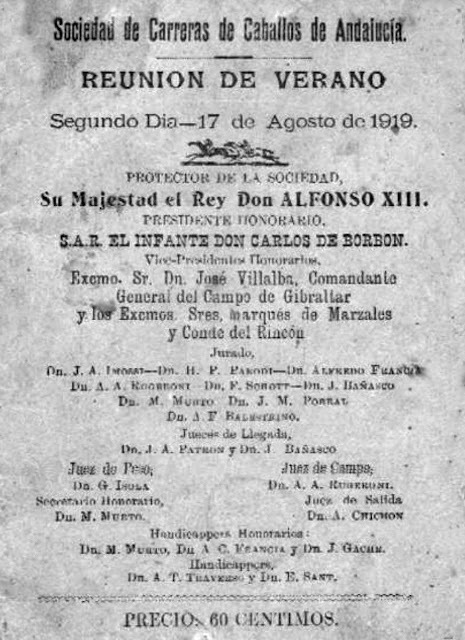 In the late 19th century the President was General F. Carrington, the judges, Coronel H. L. Dundas and - surprisingly a local José A. Patron and the secretary, Captain H. Broke. 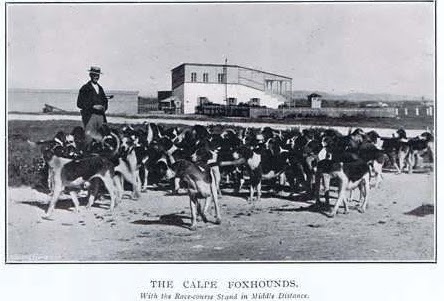 The Calpe Turf Club - Founded in 1898 it was made up mostly of past members of the Civilian Racing Club. It had 40 founder members. To become a member you had to be proposed and seconded by two members. The committee consisted of Jose A Patron, Colonel H. L. Dundas, - both of whom obviously found it convenient to be a member of two clubs - and Luis Imossi. Patron and Imossi also looked after Handicapping. The Treasurer was D. M. Bergel, the Secretary Ernesto Larios, the Weighing Judge Aurelio Onetti and the Starter Pablo Larios. 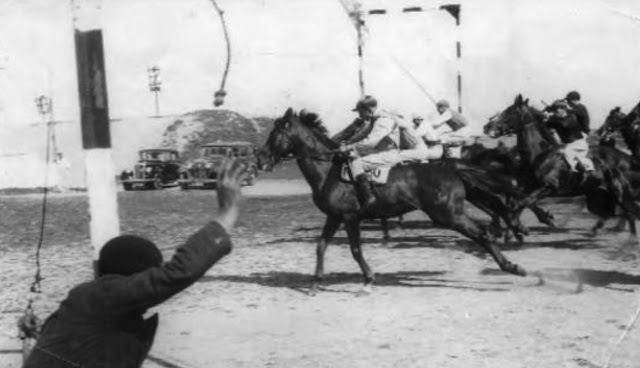 In a recent autobiography by Cecil Isola - a retired but well known Gibraltar doctor - the author mentions his maternal grandfather, Matías Murto, as the owner of the Campamento Race course. In fact in 1928 Isola himself was born in a house just by his grandfather's racecourse. 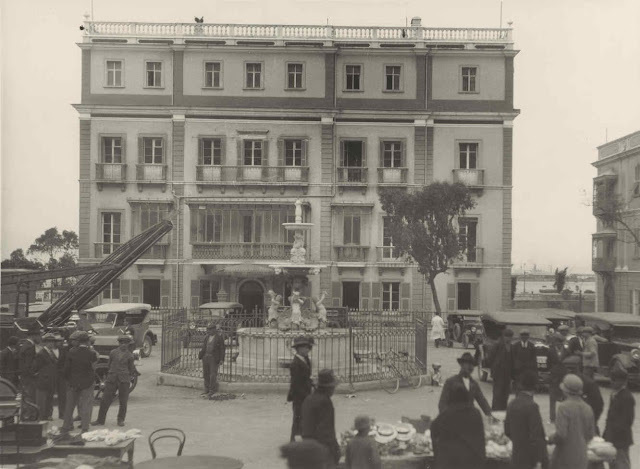 A compulsive gambler, Murto was also involved in the building of a Casino, El Principe Alfonso appropriately near his race course. 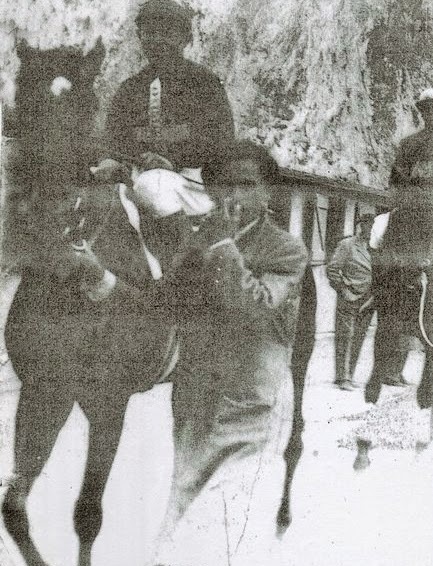 Murto was at the time one of the richest man in Gibraltar and his love of racing was highlighted by his founding - together with other family members - of the Sociedad de Carreras de Caballos de Andalucía. He must have been a man of independent mind . 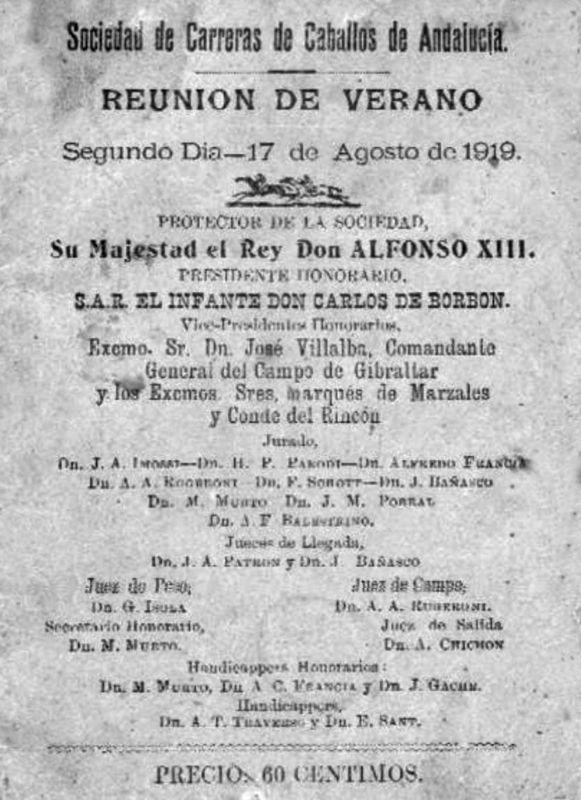 Going against the grain he dispensed with the usual appointment of the Governor of Gibraltar as Patron and opted instead for the King of Spain, Alfonso XIII, the Spain. 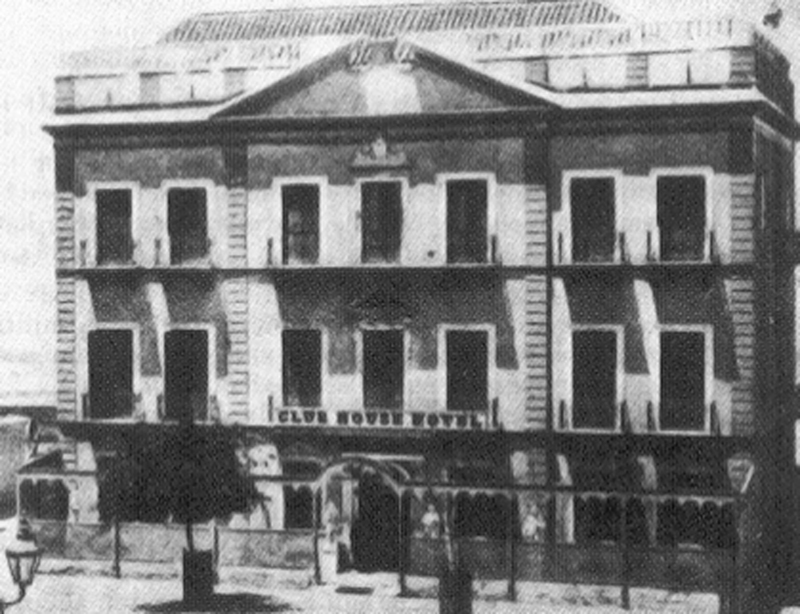 Not believing in half measures he also managed to persuade Alfonso's son, Don Carlos de Borbon to be its honorary President. By the beginning of 20th century it was quite common for rich Gibraltar families to keep houses in the Campo area. It was not unusual for many of these to be in keeping with their wealth and often merited the description of mansions rather than ordinary houses. Many of them were often recognised as some of the more luxurious build at the time in the Campo era. 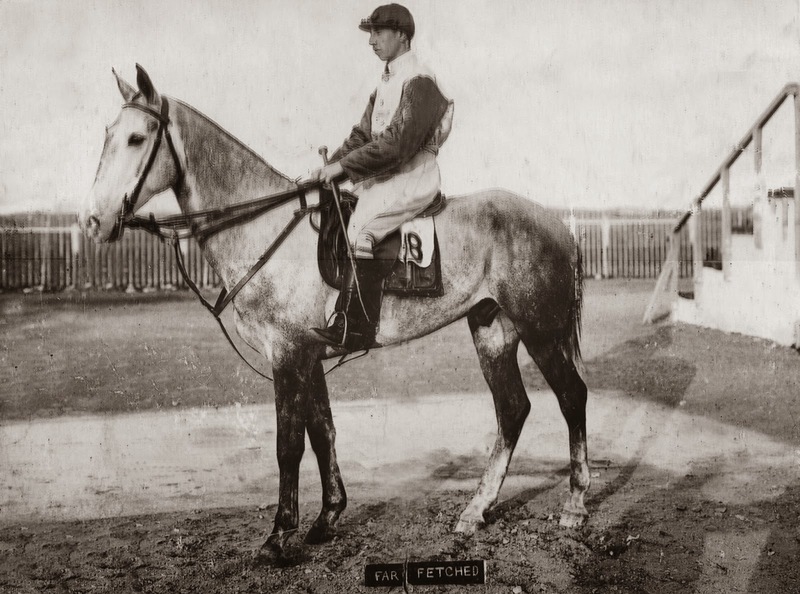 Not surprisingly it was the male members of these well off families who formed the nucleus of Civilian Racing Club identifying themselves both as Race horse owners and of course stewards. 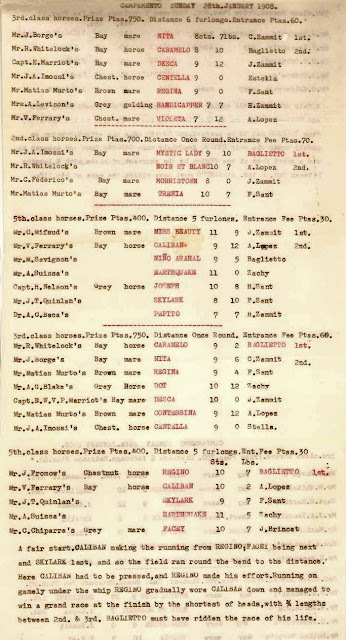 As early as 1898 well known Gibraltarian family names such as Abrines, Attias, Triay, Serra and Imossi appear on the programs as horse owners. 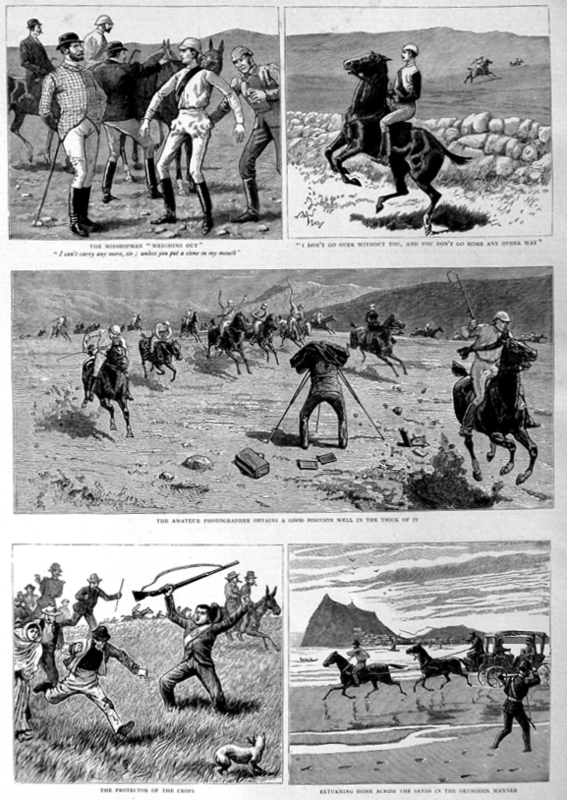 Mr. Sprague, the American consul in Gibraltar at the time, ( see LINK ) also seems to have enjoyed the sport. 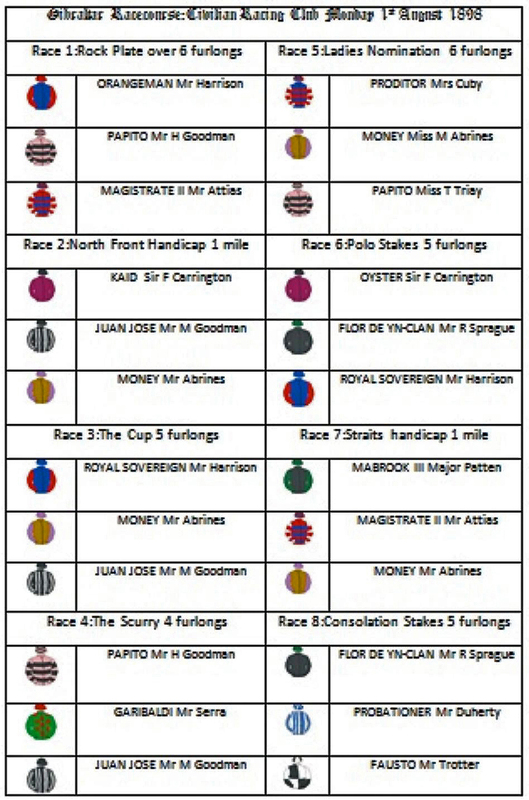 The jockeys have typically Gibraltarian names although some may of course have been Spanish. Ten years later there were even more local people involved. A new set of names - Federico, Mifsud, Savignon and Baca, were now prominent in the racing programs of the Campamento course as horse owners. According to a local punter the above jockey, 'El Pipa' Delipiani, always made sure he never came first as he made more money accepting bribes to lose. Bets in those days were placed in the El Petite Bar on the Friday nights before the races. By the 1930s the Gibraltar Jockey Club had become a truly popular institution and was thought of as great entertainment by the local hoi polloi. 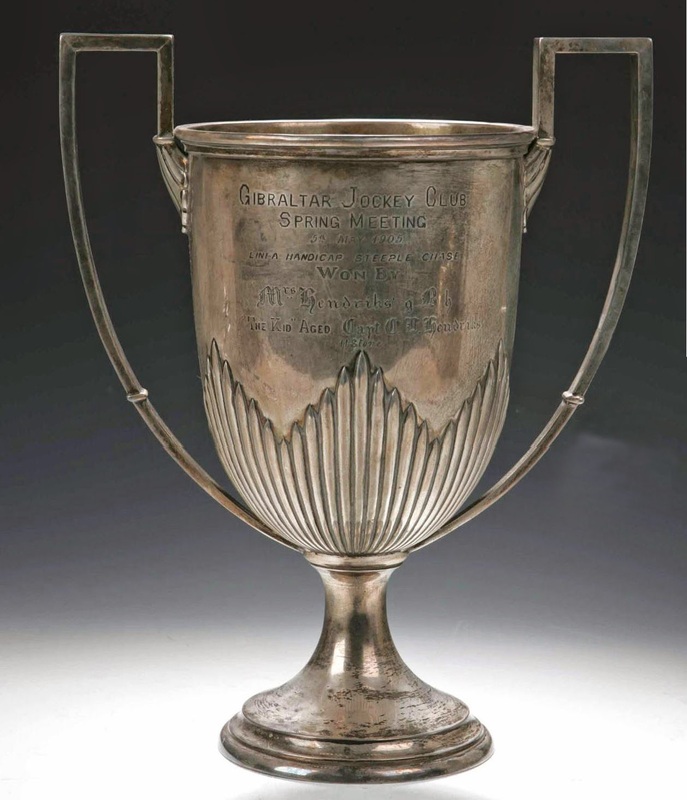 The highlight of the season was the Empire Cup although all sorts of other events were organised throughout the year. Many of the races run in North Front, however, continued to be mostly for the benefit of the Garrison. 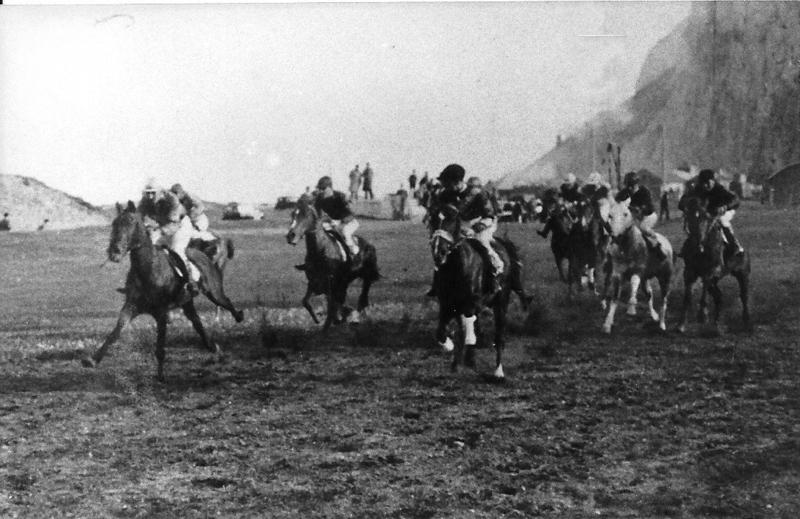 In 1931, for example, an inter-regimental point-to-point was organised in which at least fifty horses were meant to take part. The RN, the RA, the RE and - inevitably - the Royal Calpe Hunt were all part of the show. Unfortunately the event had to be cancelled due to bad weather. Undismayed another meeting was soon organised in which sixty horses took part in a variety of races. During the second world war racing came to an abrupt end as most of the locals were forced to leave their homes and the British military authorities had other things on their mind. 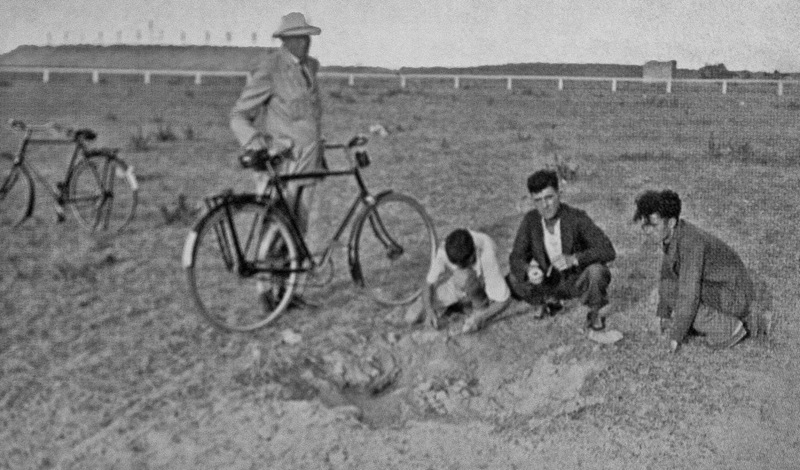 The final nail in the coffin was the construction of the airport in North front in the early 1940s which obliterated the race track. It was a sad end to what had become during its last 50 odd years of existence a uniquely Gibraltarian institution. 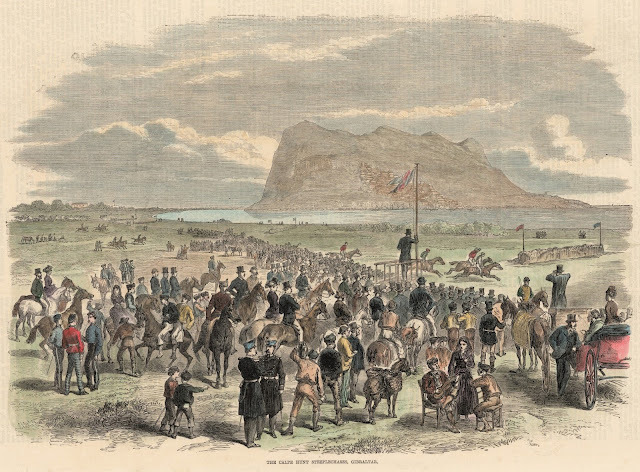 Unlike the Calpe Hunt which had been fundamentally British, the Civilian Racing Club was not run by the Garrison for the Garrison. It was run by locals for the enjoyment of all.